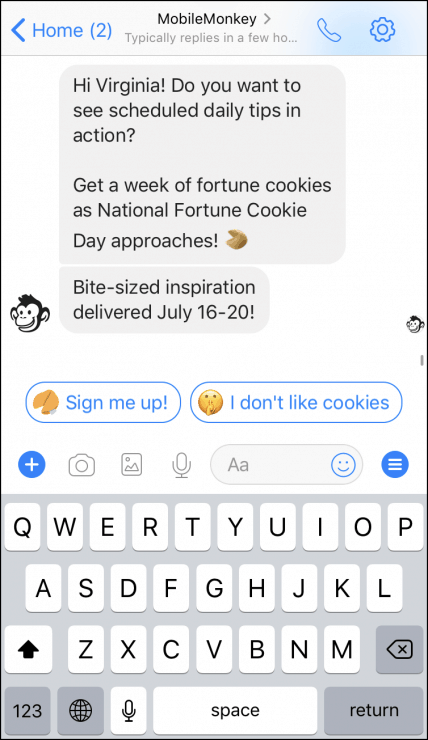 Today I’m going to show you how to send daily tips in Facebook Messenger to drive engagement with an upcoming event. If you do event marketing, it’s important to increase interaction and build community before an event. Sending daily tips, quotes and reminders increases engagement with the event and your brand. You might have a Facebook Group and an email list where you send updates to attendees in days leading up. But organic Facebook News Feed reach averages 1%. And email open rates hover around 15%. About as good as a ticket to DonkeyCon. Are more interactive than email. And can be automated for awesome efficiency and scale. 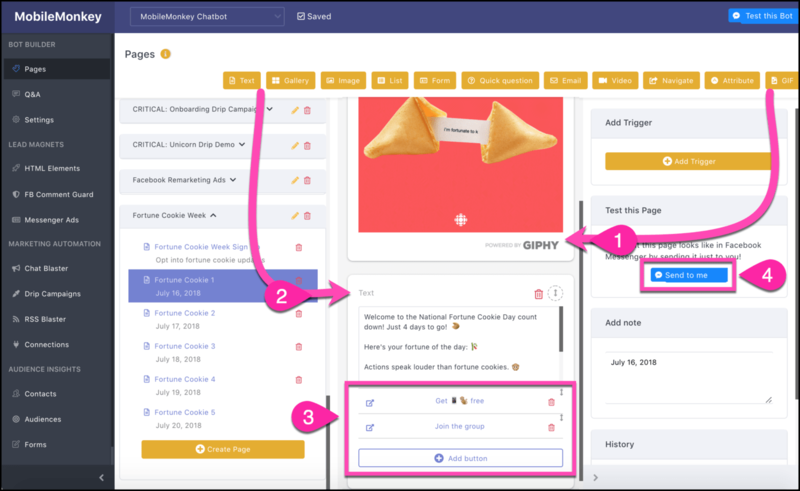 Plus, Facebook Messenger marketing offers a fresh way to connect to customers in a chat channel favored by millennials. 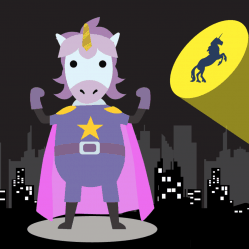 UnicornExpo ticket holders, enter here! 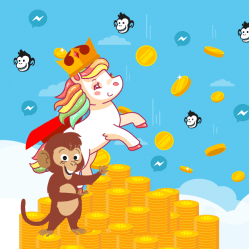 One MobileMonkey customer is sending daily training tips in advance of a live race. These daily training tips — they call them “daily pills” — generate ongoing engagement and differentiate the event from others. 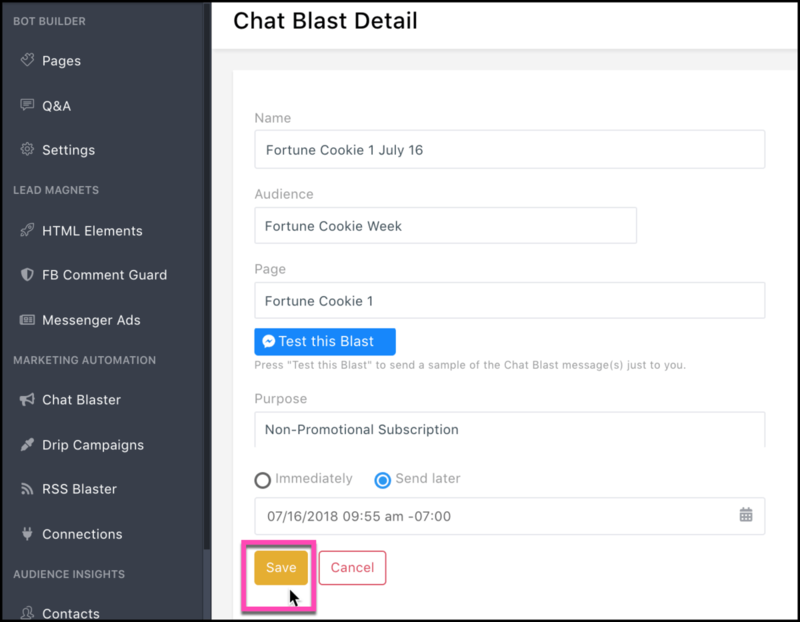 You can do it through the scheduled chat blasts feature for professionals and agencies. 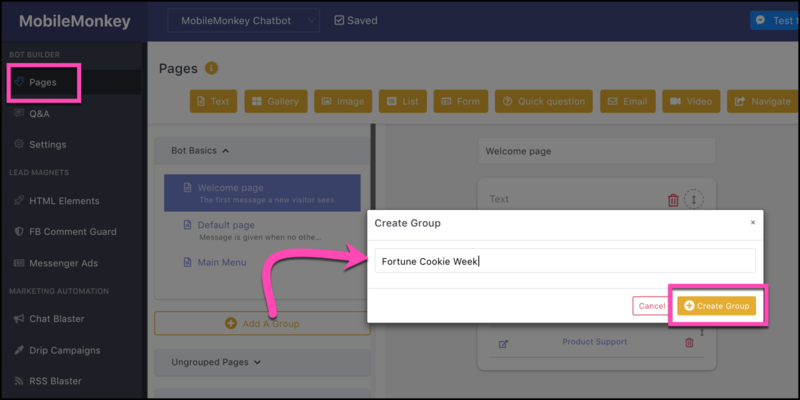 The Facebook Messenger scheduler is especially useful for agencies and social media marketers managing multiple chatbot accounts. 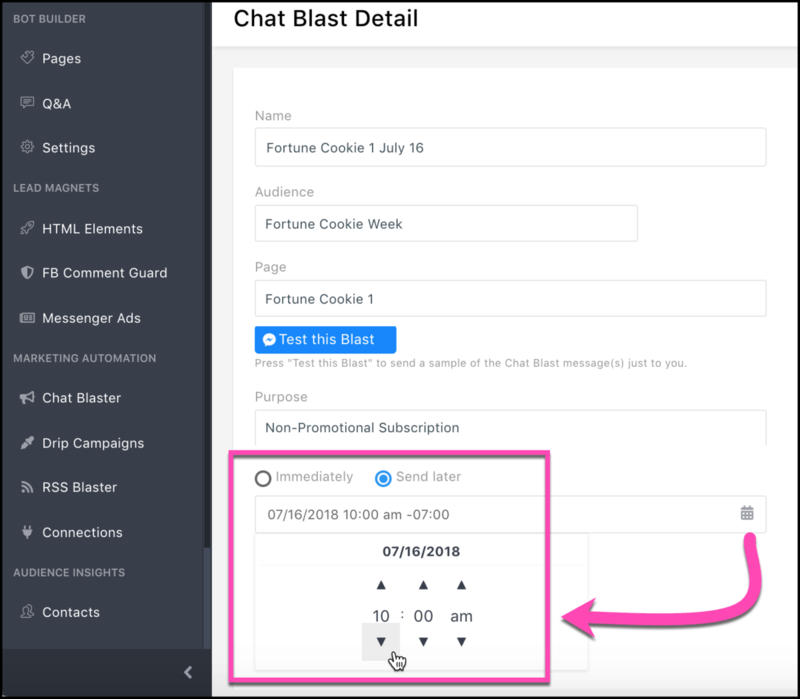 Scheduled chat blasts are based on calendar dates and happen based on the recipient’s time zone. Provide ongoing engagement that keeps customers connected to your event or brand over time. 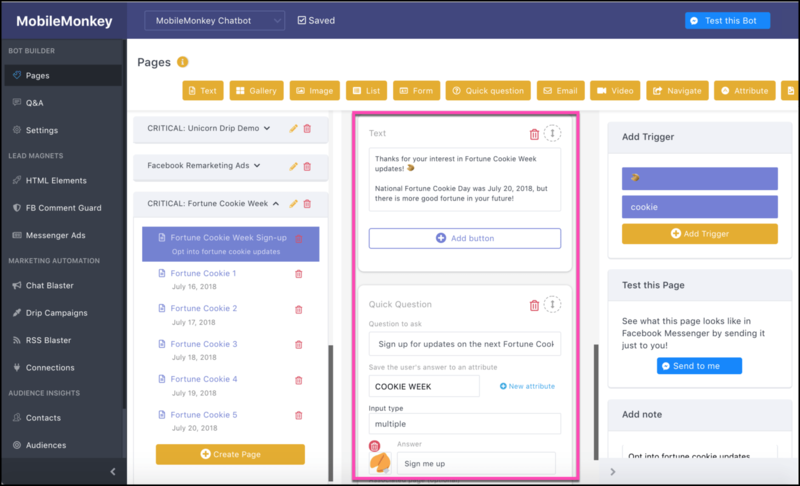 Save time by automating batches of content. Never chat blast a subscriber at 3 am thanks to recipient-timezone based scheduling. 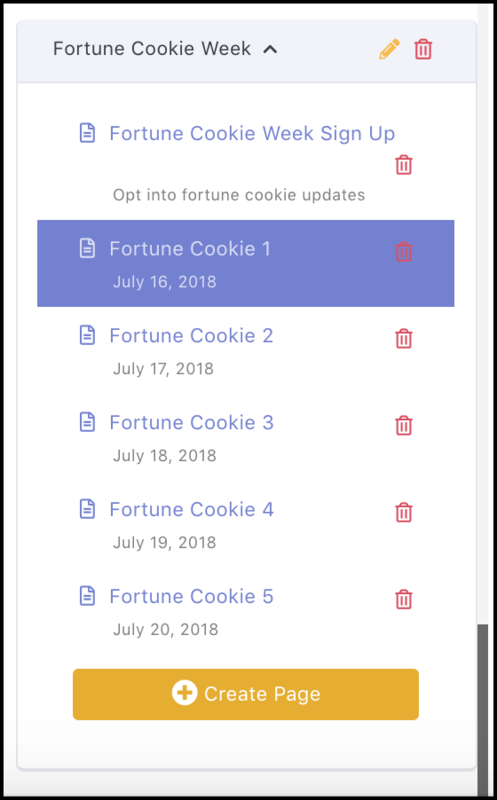 To show you how it’s done, we’re sending daily MobileMonkey fortune cookies in celebration of National Fortune Cookie Day next Friday, July 20, 2018. 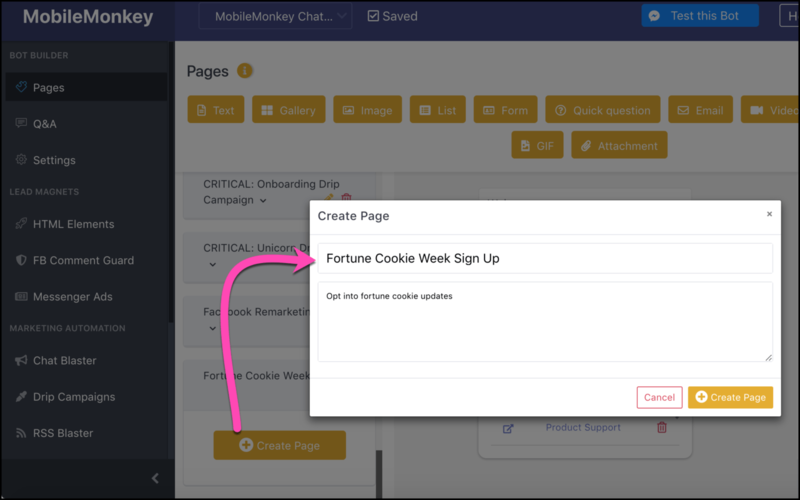 Sign up for MobileMonkey fortune cookies by July 15 to get five fortune cookies leading up to the fortuitous day. Build your daily tip chatbots. Schedule your daily tips in the chat blaster. Create a link to the opt-in page to share. When the event is done, update the opt-in page with a new message. 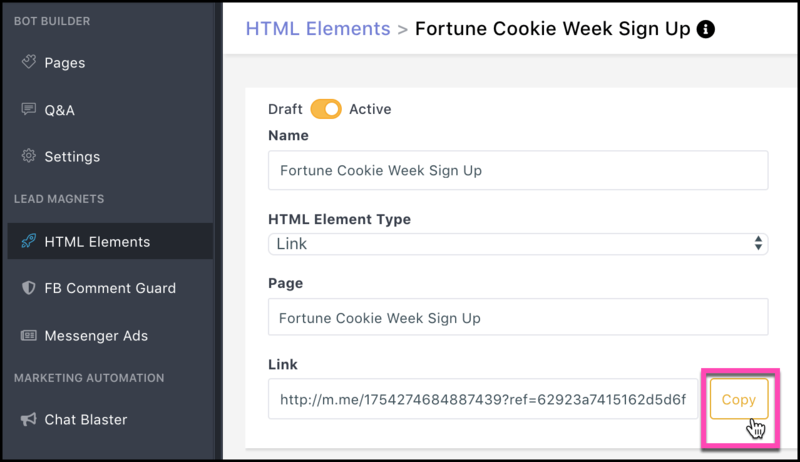 Click the widgets in the chatbot builder to add content to the page. Ask if they want to sign up. 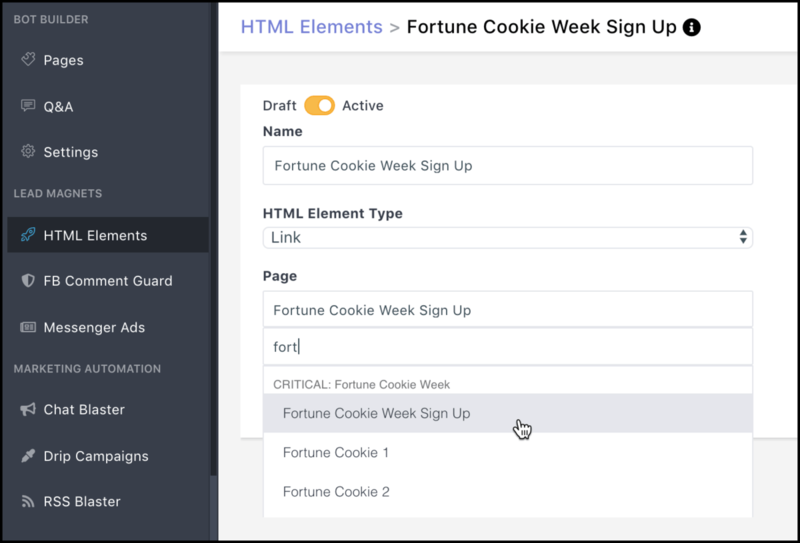 Create a new attribute to tag users when they complete the sign-up page. This custom variable is what we’ll use to create the audience segment in step 3. Use the multiple choice input to add a button for users to confirm sign up. Say thanks and let them know how to stop the updates if they want. With the opt-in page in place, we’ll create our 5 daily fortunes. Again, use widgets to build your chat pages. Want to add a little extra flavor to your daily tips? 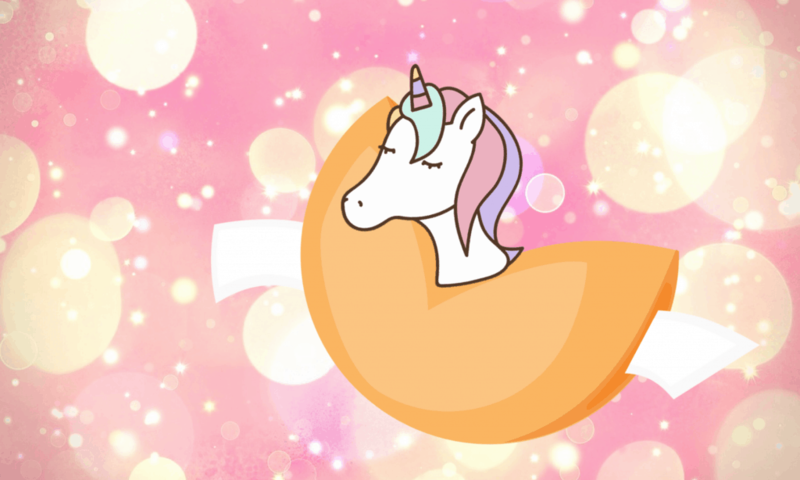 The GIF adds an engaging and colorful visual element. Using text we serve up a fortune. Using buttons we include a CTA. The “Send to me” button lets us test the bot in Messenger. And don’t forget to include a note about how people can unsubscribe to messaging. 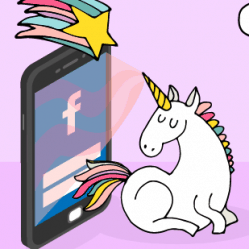 That’s a Facebook Messenger marketing best practice that could save you from complaints. All your content is in place. 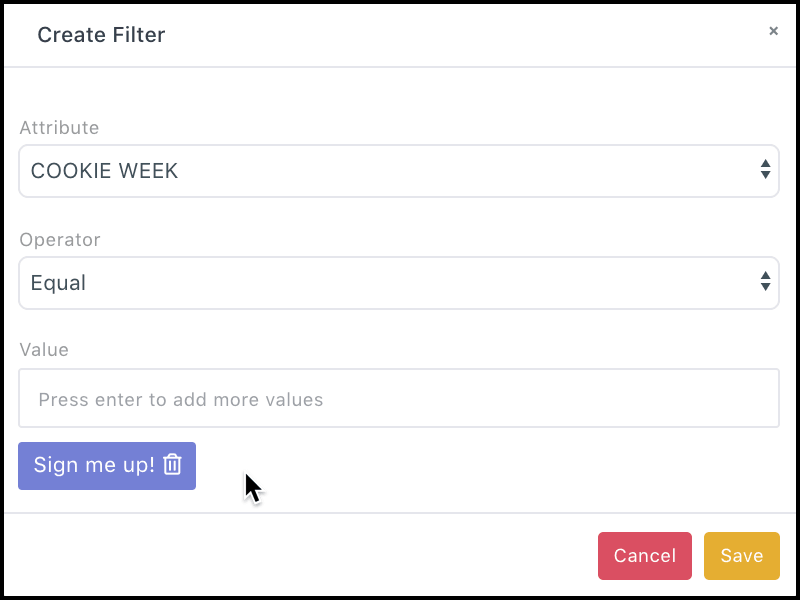 Next we’ll set up the automations by creating an audience segment of these subscribers in step 3 and in step 4, scheduling the blasts. 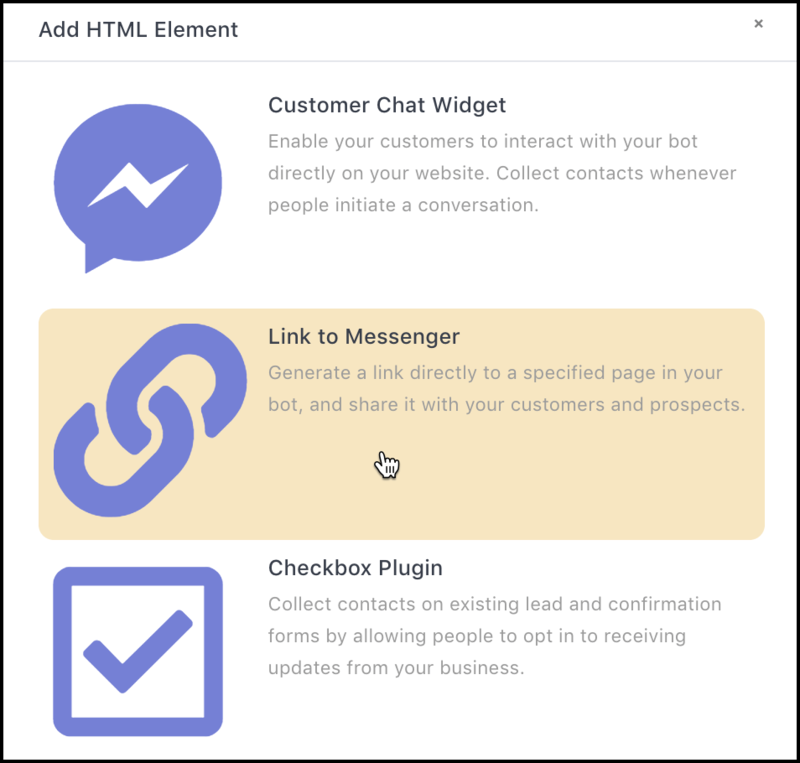 Hit save and then done to finish making your custom audience segment of Facebook Messenger contacts. 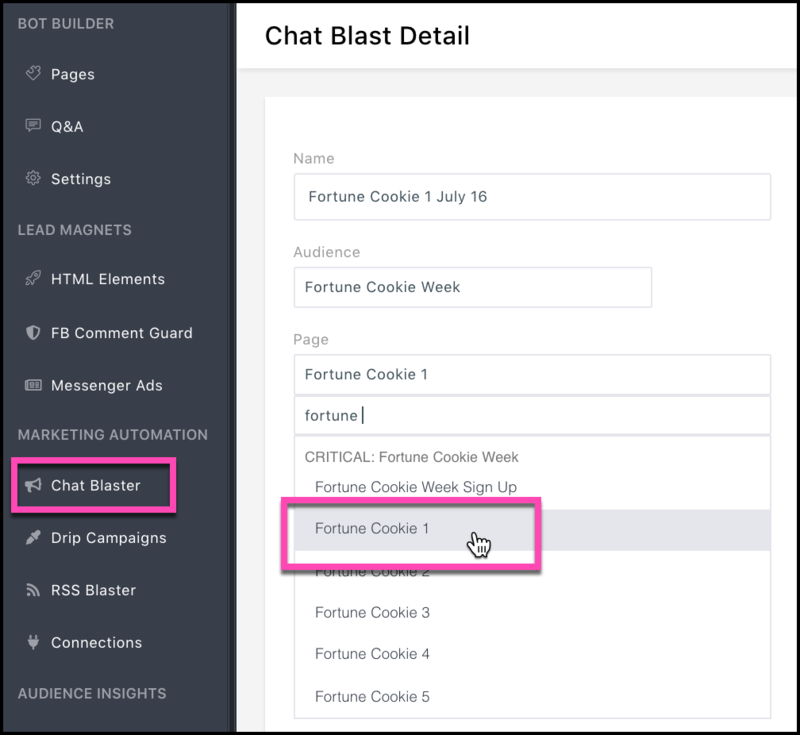 In step 4 we’ll schedule the blasts to go to this audience with the scheduled chat blaster available to pro users. 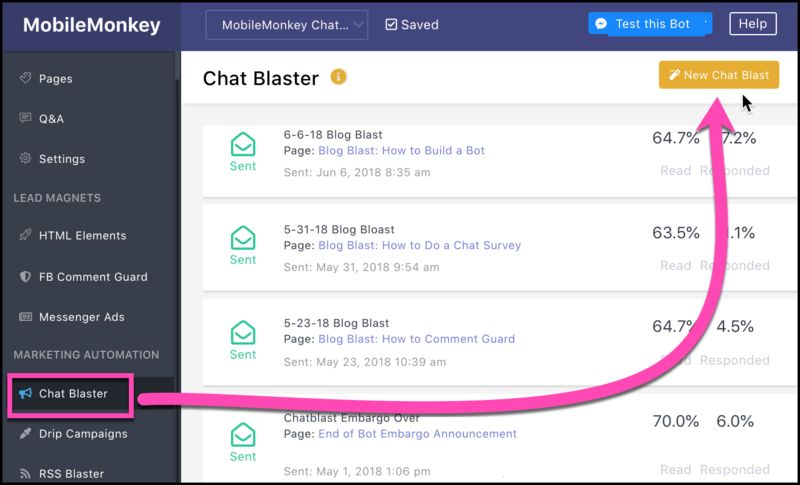 Especially key for agencies and social media marketers managing multiple chatbot accounts, the scheduled chat blaster lets you plan your Messenger posts in advance. 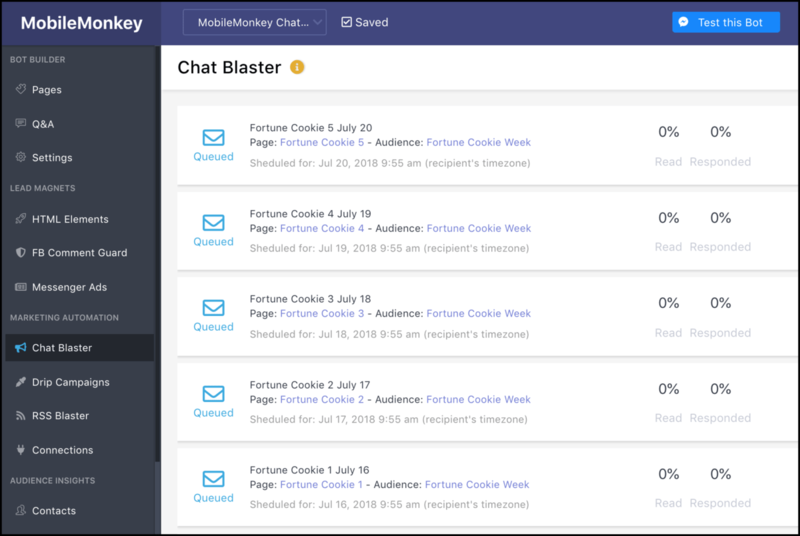 The professional version features advanced marketing automations like the scheduled chat blaster. 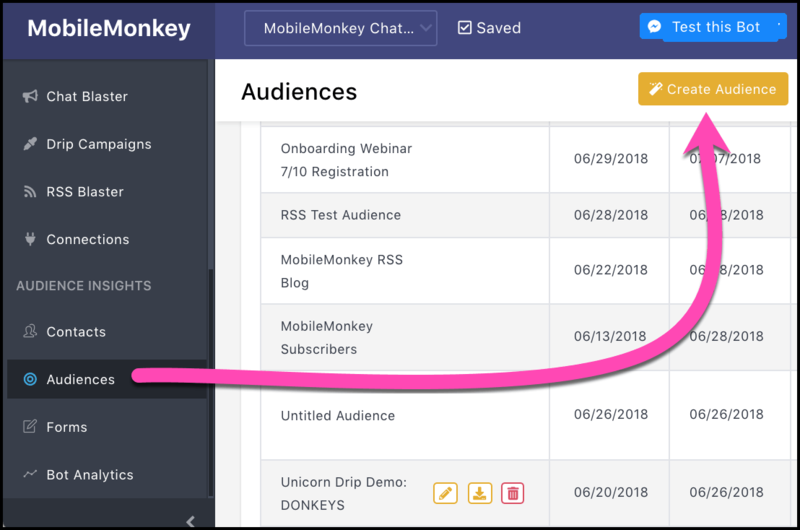 To send daily tips from a free MobileMonkey account, create daily chat blasts that you send to your audience immediately. 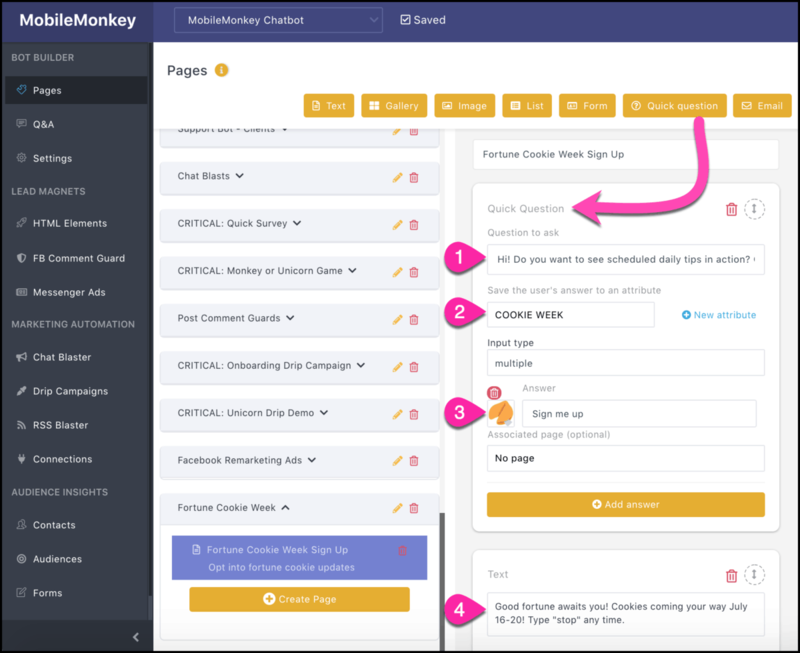 Now to share your daily tips opt-in page with your attendees. Share this link like you would any page — in blog posts, social media posts, groups and email. Most events have an expiration date. Update the message on the opt-in page after the event so people who come across the link know the event is over. Tell people when the event was. Let people know if a future event will be scheduled. Give people another way to stay connected with you. 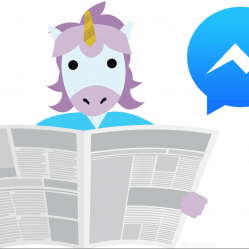 Generate engagement in the lead up to an event and build ongoing interaction with subscribers by sending daily scheduled tips, quotes and updates in Facebook Messenger. Like a unicorn boss. I foresee five happy fortunes in your future. And endlessly effective chat blasts to come. Larry what is the course fee!